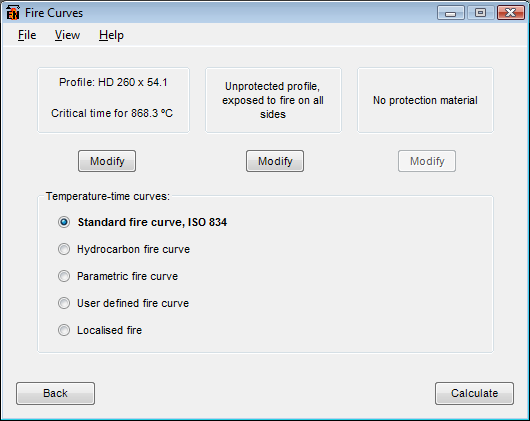 Elefir-EN is a software for the evaluation of the fire resistance of carbon and stainless steel members loaded about the strong axis or about the weak axis, according to EN 1991-1-2 and EN 1993-1-2. Calculations can be performed in the time domain, resistance domain and temperature domain. 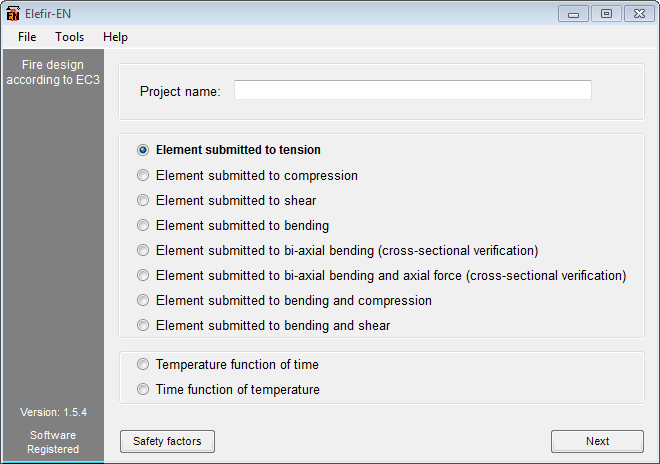 Elefir-EN is an essential tool for structural engineers in the design office, enabling quick and accurate calculations to be produced, reducing design time and the probability of errors in the application of the equations. It can also be used by academics and students. 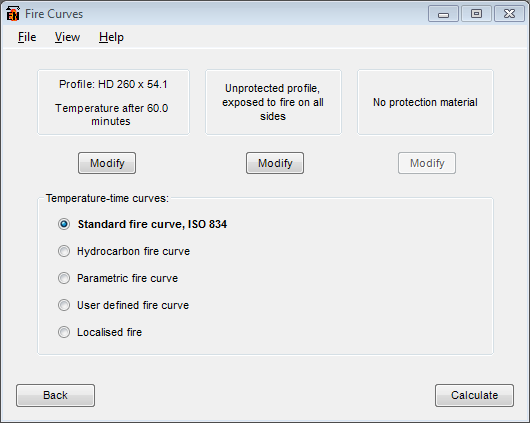 Calculation of the thickness of the fire protection material needed to ensure a certain fire resistance. Calculation of the time to reaches the critical temperature of the element. Calculation of the temperature reached after the introduced critical time. no protection, contour encasement and hollow encasement. Properties of several protection materials are available: rock/glass wool, gypsum and also allows for the introduction of a new material defined by the user. Temperature dependent thermal properties of protection material can be defined by the user.